At Southeast Pet, we believe that our retailers are in business for themselves but not by themselves. Southeast Pet is one of the few independently owned and operated Pet Supply distributors. 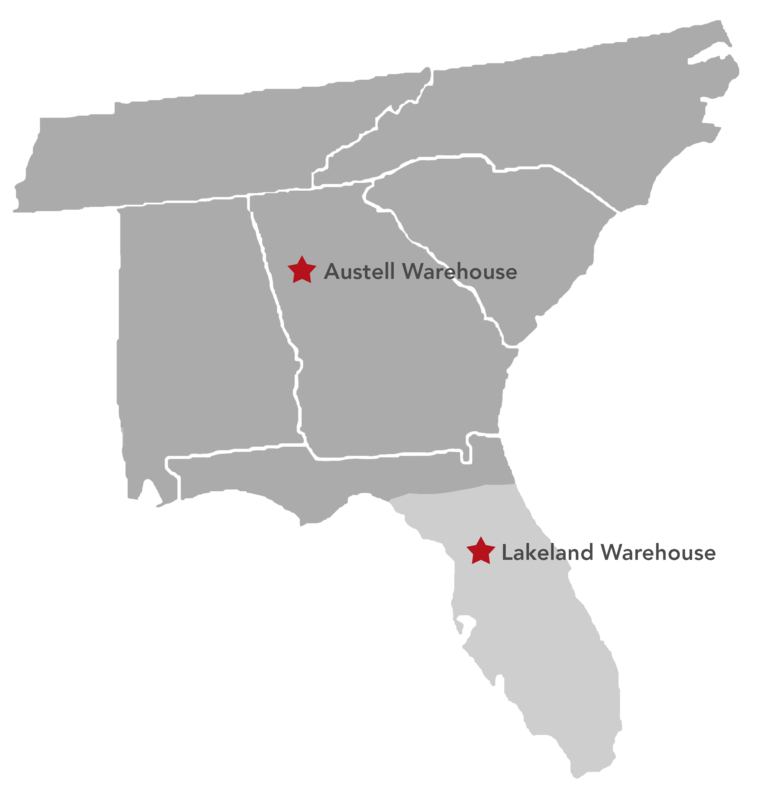 Two conveniently located distribution centers (Austell, GA & Lakeland, FL) servicing the six southeastern states of Alabama, Florida, Georgia, North Carolina, South Carolina & Tennessee. As a family owned & operated independent distributor, we feel uniquely qualified to meet the needs of the independent pet specialty retailer. Our highly tenured sales & service team has the experience, product knowledge, dedication & core values required to meet the needs of our retailers. Specializing in products that are designed to help our retailers best compete in an ever changing competitive market. Copyright © 2015, by Southeast Pet. Text, Graphics and code are protected by US and International copyright laws and may not be copied, reprinted, published, translated, hosted or otherwise distributed by any means without explicit permission.